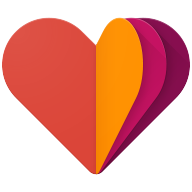 Home / Android / Go Download Google Fit Preview SDK And Make Some Awesome Apps Now! When It comes to wearables, Google was one of the tech giants who took initiative and announced lot of new unbelievable products. 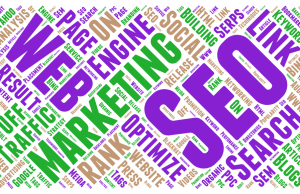 Many Companies have just started to make wearables and concentrating more on fitness nowadays. Google took this in a serious and announced Google Fit at Google I/O 2014. It’s an open platform for developers to develop fitness apps easily. As promised, they are making a Google Fit preview SDK for all developers so that you can start building your apps. The good news is, it’s not limited to smartphones. Google Fit Preview SDK provides a single set of APIs for apps and device manufacturers to store and access activity data from fitness apps and sensors on Android and other devices (like wearables, heart rate monitors or connected scales). This means that with the user’s permission, you can get access to the user’s fitness history — enabling you to provide more interesting features in your app like personalized coaching, better insights, fitness recommendations and more. Sensors API provides high-level access to sensors from the device and wearables—so with one API your app can talk to the sensors, whether on an Android device or a wearable. So if you’re making a running app, you could register it to receive updates from a connected heart rate monitor every 5 seconds during a user’s run and give immediate feedback to the runner on the display. Recording API allows apps to register for battery-efficient, cloud-synced background collection of fitness data. For example, a running app could ask to store user’s location so it can map the run later. Once it is registered for these data types, collection is done by Fit in the background with no further work needed by the app. The history API allows operations on the data like read, insert and delete. When the exerciser finishes her run, the running app can query the History API for all locations during the run and show a map. You can start building apps and you will be able to launch your apps later this year after the full Google Fit SDK was released. We here at Zombies Lounge are too excited about developers who are interested and passionate in this. For additional resources and more information about Google Fit, check out the Google Fit developers site. ← Previous Story Google announces Project Tango Tablet Development Kit for $1,024!